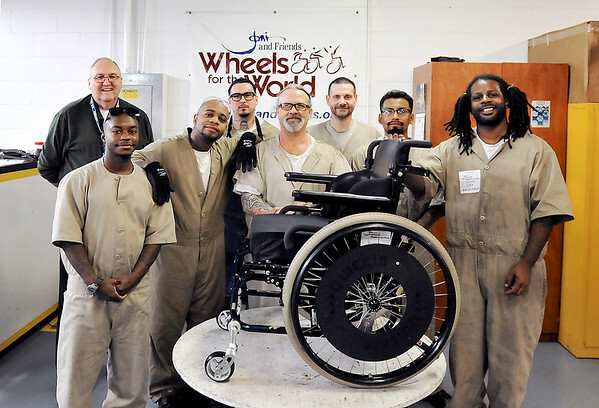 Pendleton Correctional Industrial Facility's Wheels for the World program. Here members of the program pose for a photo with one of their finished chairs. They are L to R: Back, Dave Tesdal, program coordinator, front, Keayon Scott, Richard Hawkins, Juan Gonzalez, Mark Rowe, Infant Blankenship, Luis Bravo, and Achilles Johnson.